SOLD: All of these girls are sold, Prema, Pixi, and Paris. Past puppy. We named him Thing Two. SOLD: Pratt is a white chocolate with a brown nose and green eyes. Wonderful personality. 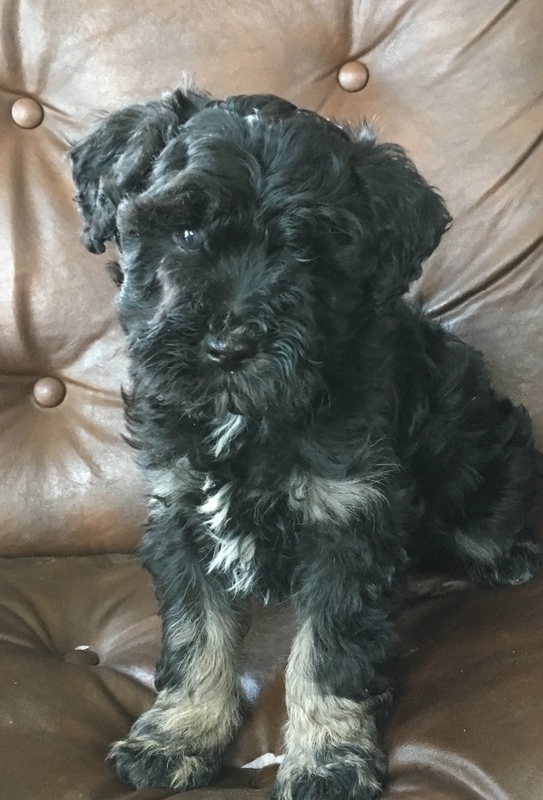 SOLD: Here is our male Schnoodle, Jimmy. He is sooo cute! 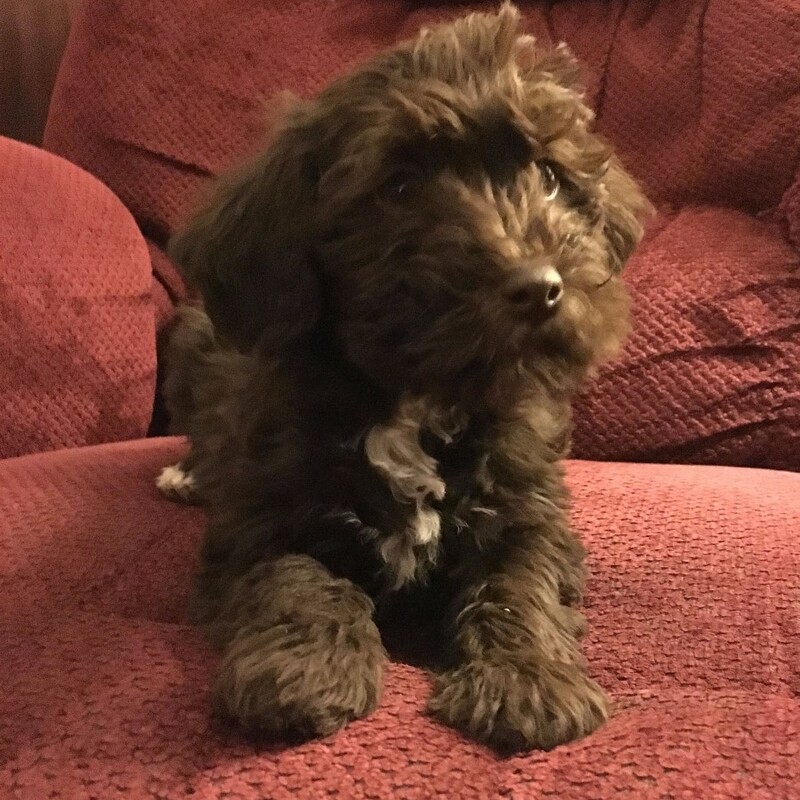 Sold: Po Jeffrey has a soft wavy coat. I am pretty sure that if Po Jeffrey had to take sides, he would side with Jo Jeffrey, because they really are brothers. Adorable! Sold: Now this is Red Jeffrey, Jeffrey's brother, for real. 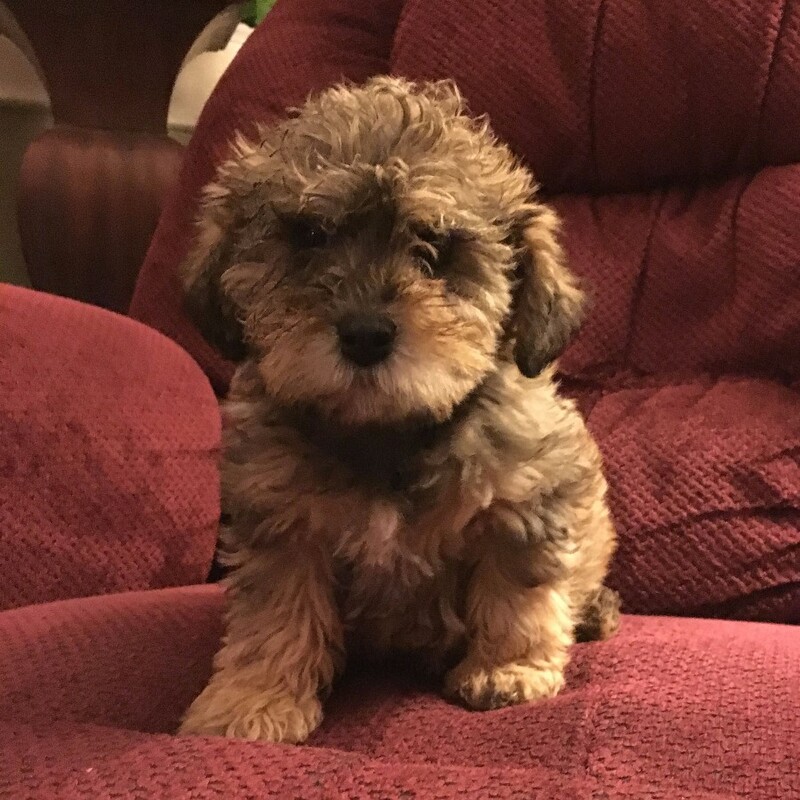 He also looks like a teddy bear. 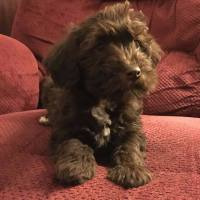 SOLD:This is our dark apricot white chocolate Schnoodle. His name is Red. Super cute and playful. 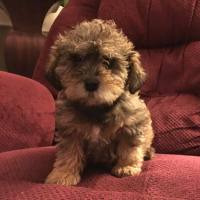 SOLD: White chocolate apricot masked male Schnoodle. Beautiful! 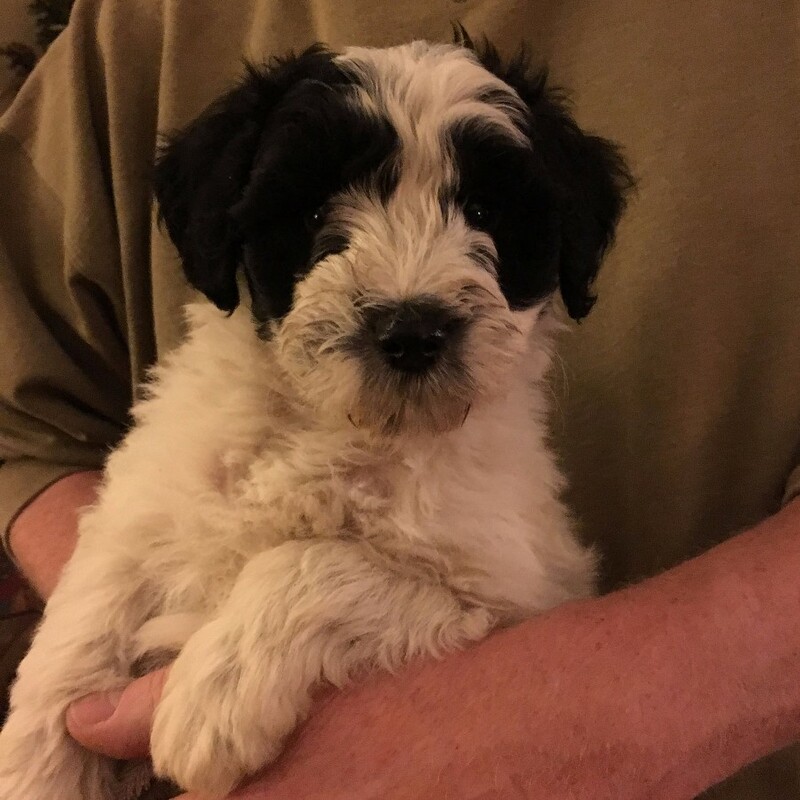 AVAILABLE: Here is Ramses, one of our black and white parti Havapoo males. Picture perfect! AVAILABLE: Here is Rudy, our black and white female Havapoo. She is very fluffy and very cute! AVAILABLE: Here is Randolph, one of our black and parti male Havapoos. Very charming! We have a litter of Havapoos that are 14 wks old and are ready for their new homes presently. There are 3 puppies available, with 2 males and 1 female ( all black and white parti). We have posted new pictures today (April 15). All 3 of these puppies have great personalities, love to be held, love to play and love to be with their people! Please contact us about scheduling a visit or with any questions or to inquire about placing a deposit! 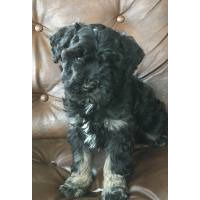 All of our Schnoodle puppies have sold. 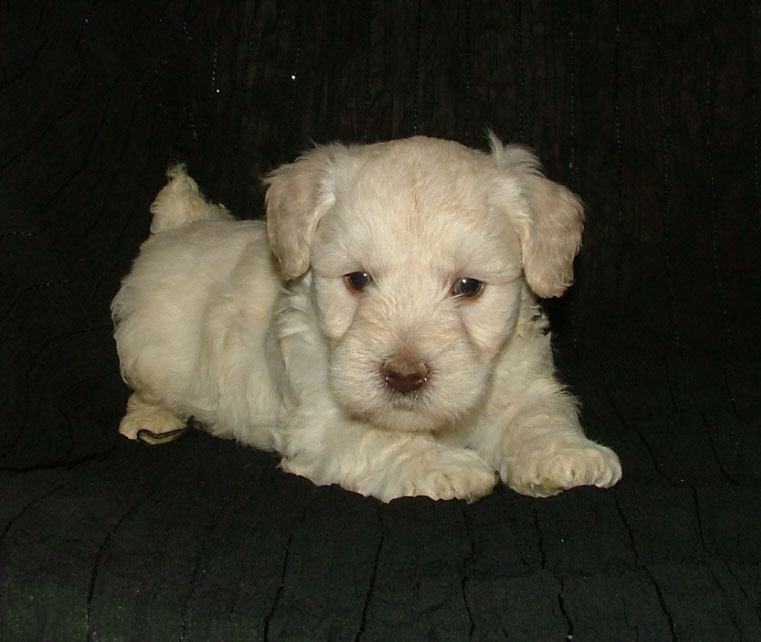 We are expecting more Schnoodles to be born this spring, ready for their new homes mid July. Please contact us to be placed on our waiting list or with any questions. Our puppies are raised in the house with our family. Around 3 weeks old we start to potty train them, and they are doing great by the time they go to their new homes. We give the puppies 2 rounds of dewormer and at least 1 puppy shot, depending when they leave us. 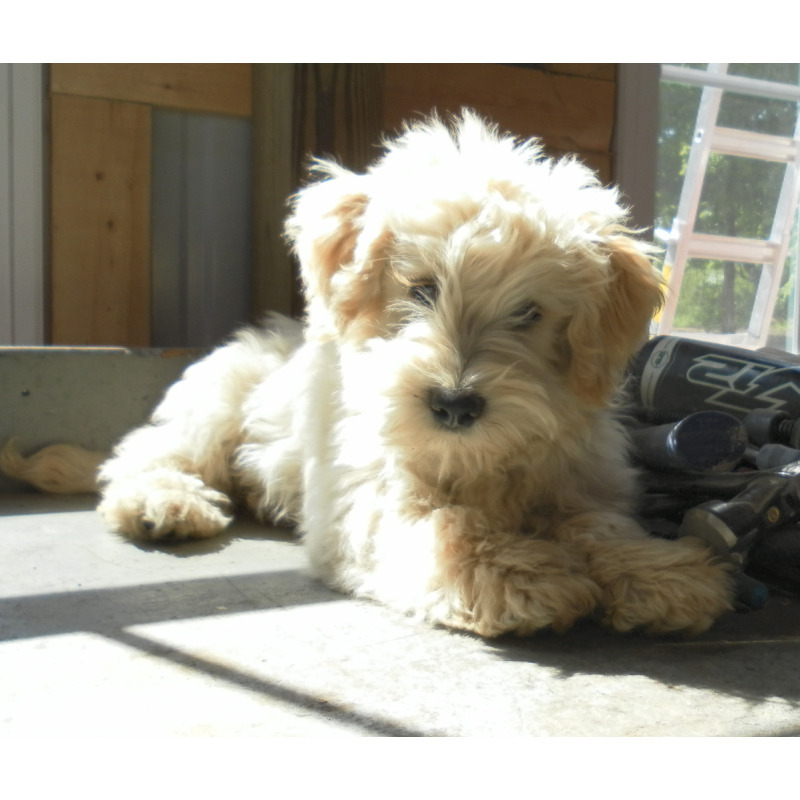 Schnoodle puppies' tails are docked. Havapoo puppies' tails are not. All puppies have declaws removed. A deposit of $100 will hold a puppy for you and your family. We also offer a 6 month health guarantee.